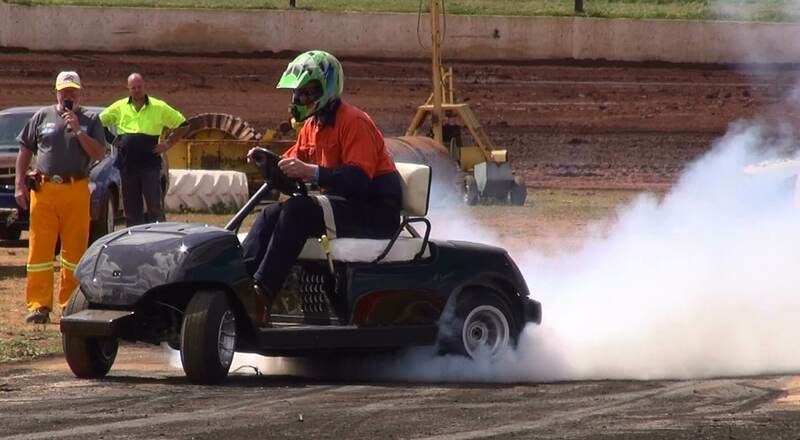 So what do you get when you combine a golf cart with a high-powered engine? Well, what you get is a really fast piece of machinery. The creator of this madness has basically taken your standard golf cart and dropped an extremely powerful Hayabusa bike engine in it. Nobody else would have thought of this but him. This guy has made a name for himself constructing crazy golf buggies, and once again he hasn’t disappointed . It has plenty of straight line speed and handles the corners like it’s on rails. The days of 4,5 hour rounds of golf are over for this guy. This thing will whip around the course in no time! Check the video below of this crazy cart!! !